The Surface tablet unveiled by Microsoft at its mysterious event in Los Angeles this week looked very impressive. It obviously faces very stiff competition from the Apple iPad—which dominates the tablet market. But, there’s a very good chance that businesses will flock to the Surface (or other Windows 8 tablets) if Microsoft delivers something close to what it presented to the media. I am a huge fan of the iPad, so I don’t make that claim lightly. I have owned all three iterations of the iPad thus far, and I’m not prepared to abandon the New iPad any time soon. That said, I also love Windows, and I appreciate that businesses that rely on Windows PCs and Windows-based applications would love to have something like an iPad that also happens to be Windows. The Series 7 Slate PC is no Surface, but it gives a glimpse at the Windows tablet future. As it happens, I’m also in a position to compare the two side by side…almost. I don’t have a Surface tablet, but I do have a Samsung Series 7 Slate PC running the latest Windows 8 Release Preview. As far as devices actually available today to the general public go, this is about as close as you can get to what you can expect a Windows 8 tablet like the Microsoft Surface to be. On paper, the Series 7 Slate PC is thicker, larger, and heavier than the iPad. The iPad (Wi-Fi only model) is only 9.5 inches long, 0.37 inches thick, and weighs a mere 1.44 pounds. The Series 7 Slate PC, on the other hand, is 11.66 inches long, 0.51 inches thick, and weighs nearly two pounds. The Windows 8 Pro model of the Surface will be very close in size and weight to the Series 7 Slate PC. To some extent, though, that’s really a matter of splitting hairs. If you stop to consider the fact that the Windows tablet is packing an Intel Core i5 processor, 4GB of RAM, and a 128GB SSD, it’s actually fairly impressive that it’s as svelte as it is. It also has USB and micro-HDMI ports, and a micro-SD card expansion slot. Plus, it has a trump card the iPad lacks--it runs Windows. Really, it would make as much or more sense to compare the Windows tablet against existing Windows desktops and laptops. Yes, it’s a tablet, so you can’t avoid the comparisons to the iPad. However, we’re talking about a device that can replace the PC completely rather than a mobile device that augments the PC. 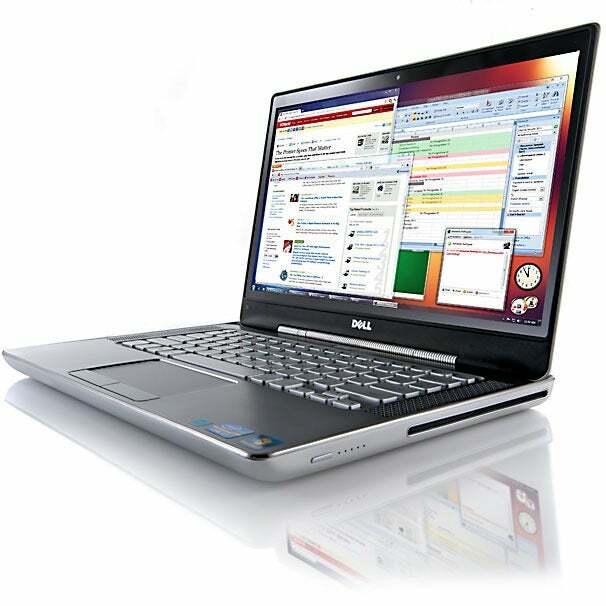 I assure you the Series 7 Slate PC is significantly thinner, smaller, and lighter than my Dell XPS M1330 laptop. I’m not sure how close the Surface experience will be, but using the optional docking station and Bluetooth keyboard with the Series 7 Slate PC you can basically achieve a normal PC experience while you’re sitting at your desk. The dock includes a full-size HDMI port, USB port, and gigabit Ethernet port. You can connect to a large monitor, hook up a USB hub to connect with other devices, and use the tablet as if it were a desktop or laptop PC. The Slate is bigger and heavier than an iPad, much more portable than a laptop. The difference is, when you want to leave you can simply detach the tablet from the dock and you still have your entire Windows PC with you. The iPad is a tremendous device for working on the go, but it requires a lot of “duct tape and chewing gum”. You have to find apps and workarounds that let you be productive until you can get back to your “real” PC, and find ways to smoothly integrate and sync data between the two. But, with a Windows tablet you just use the same tools and software you always use. The biggest hurdle for the success of the Microsoft Surface--and Windows 8 tablets in general--is going to be price. Amazon currently lists the Windows tablet I’m using—the Samsung Series 7 Slate PC with optional docking station and keyboard--for a mind-blowing $1,630. For that amount you can buy a laptop with better specs than the tablet, and two Wi-Fi iPads, and still have some change left over. Microsoft may not need to undercut the iPad on price, but the Windows tablet should at least compare favorably with the Windows PC it hopes to replace. If Microsoft can price the Surface competitively, we could see a quantum shift in the tablet market.